David & Chris Clarke are very proud to be attached to such a great golf club, David was a junior member at Gathurst since the age of 10 and his father was a member and Captain of the golf club in 1968. 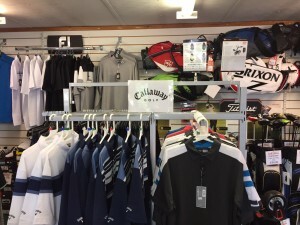 In that period David and his team have developed a great relationship & reputation amongst the members and local golfers offering a fully stocked golf shop with all the latest equipment, a club repair / alterations service, custom fitting & Professional tuition. Well known for the lowest prices around, combined with a great team of friendly and knowledgeable staff, offering a high level of customer service, why risk buying online. 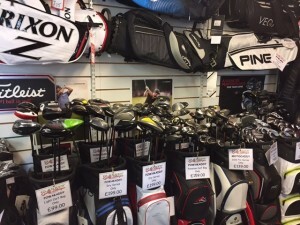 With Demo equipment available for the equipment in store and a unique custom fitting service available at our “Golf Analysis Centre” we are keen to ensure the product you are buying is suitable for you and your golf game. 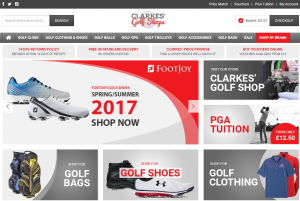 Click and Collect service, any goods seen online can be delivered to your Pro Shop at Gathurst GC within 1-2 working days. If a member has store credit this can be used against a website purchase also. 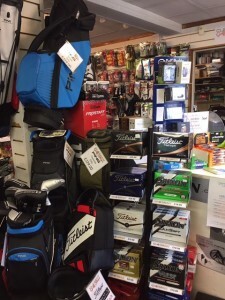 Although we go to enormous lengths to ensure we are the CHEAPEST, if for any reason you catch us out and see a genuine lower price elsewhere then please feel free to inform us and providing the conditions are the same we will be happy to match the price, helping us to stay the most competitive golf shop for miles. 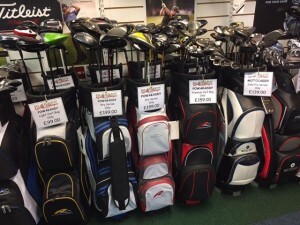 We are happy to accept your old, unwanted golf clubs in part exchange, accepting all brands that we stock in store, helping towards your next purchase. 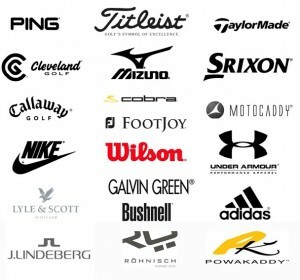 We also offer a service where we will sell your unwanted golf clubs in store or via eBay and can offer you store credit in exchange.